When I think about summer I think of endless play dates at the park, the smell of sunscreen, lots of time at the pool and one of my most favorite summer activities…blowing bubbles. I love how the joy of blowing bubbles never gets old no matter your age. 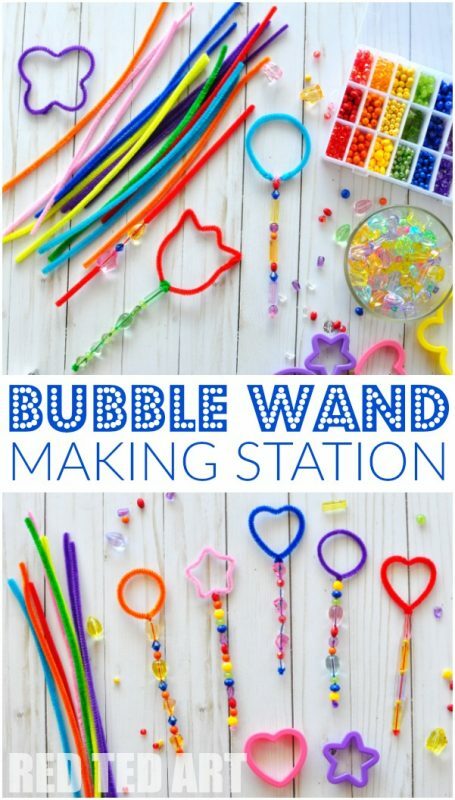 This is exactly why a bubble wand making station is a perfect summer activity for kids. 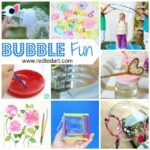 Whether you are looking for a simple birthday party activity for kids or need a last minute activity for kids during a family barbecue, 4th July celebrations or even if you just want a fun activity for no reason at all, a bubble wand making station is a great solution! 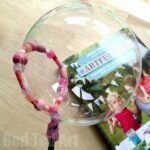 So this summer.. grab your favourite DIY Bubble Recipe and then let the kids get creative! 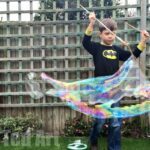 Once you have made your Bubble Wands, be sure to head over to our Bubble Activities page and check out all the FABULOUS ideas for lots of Bubble fun this summer. 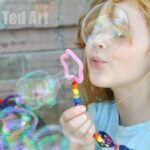 Learn how to make bubble wands this summer and have LOTS of fun with bubbles! First created in June 2017 and republished for your convenience! 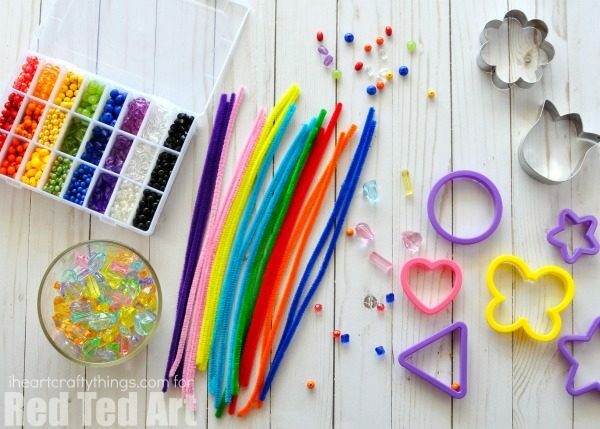 Putting together a Bubble Wand Making Station for kids to enjoy requires little prep work, only a few supplies and it’s a summer activity kids can enjoy over and over again! The set up is simple. 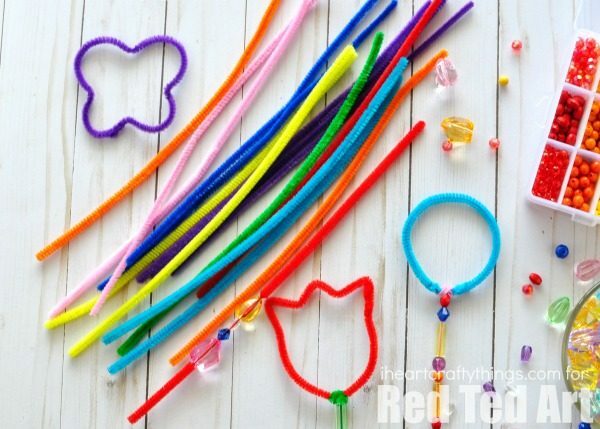 Lay out a pile of pipe cleaners onto a table along with plenty of colorful beads and some cookie cutter shapes. Having a pair of scissors handy on the table is also a great idea! 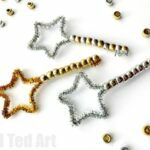 You might want to make up a few bubble wands in advance and lay them out on the table so kids can see how to make them, or you can give them a quick demonstration before getting started. After kids have finished making their bubble wands, pour some bubble solution into a shallow bowl. Now watch as kids faces light up with smiles from the magic of blowing bubbles. There’s not a more perfect summer activity for kids than making bubble wands and blowing lots and lots of bubbles! 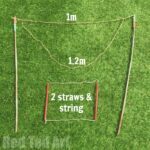 This type of activity is also perfect for summer play dates. 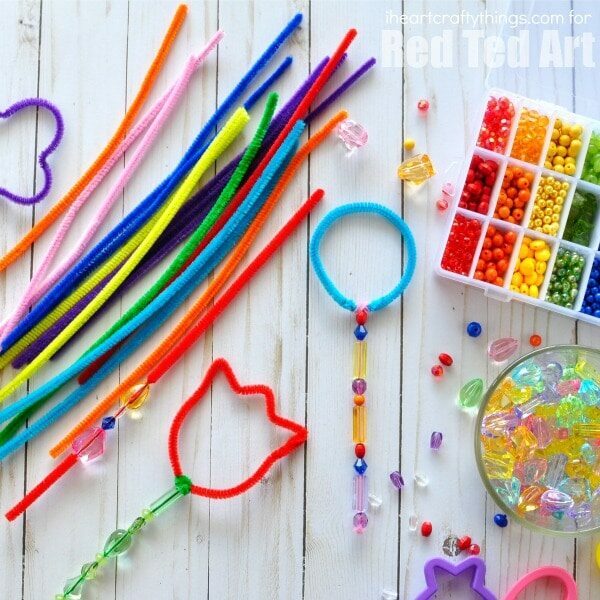 In fact, after my daughter and I sat at our table together and made some bubble wands a few days ago she asked if we could keep it set up so she could invite a friend over to make them with her in a few days. 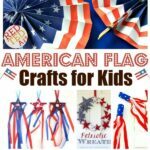 It’s a great way to get kids to turn off the TV and electronics and enjoy some creative play. Looking for more ways to enjoy bubbles? 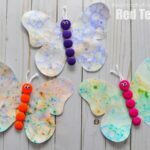 Check out these fun Bubble Art Butterflies! And of course don’t forget to make your own Bubble Solution. It is so easy and fun to make and great to stock up over the summer! If you’re on the hunt for more great summer activities for kids, you’ll love this swimming jellyfish craft. 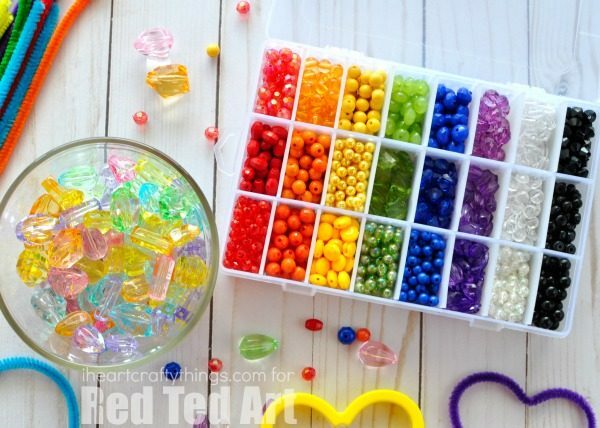 It’s a great craft to make after a trip to your local aquarium. Or do you have a trip to the zoo planned for this summer? Check out these 50+ Zoo Animal Crafts for Kids.